With a 14 win lead Brazilian jockey Ruan Maia looks the best of good things to take out his second successive Macau riding premiership title. Japanese runners in Sunday’s FWD QEII Cup stretch their legs at Sha Tin. It is not often the Blue Diamond winner does the double with the Talindert Stakes at Flemington on Saturday. Miss Finland won the Talindert Stakes (1100m) run at Flemington on Saturday then was second in the Diamond before taking the Slipper easily. The Talindert Stakes is a Listed Race for two-year-olds run conducted by the Victoria Racing Club at Flemington. The Talindert Stakes is traditionally Melbourne’s last lead-up race for juveniles heading to Victoria’s richest two-year-old race, the $1 million Blue Diamond Stakes. However as it is run at Flemington it has also proven to be a vital guide to the VRC Sires Produce Stakes, run over 1400m at that course later in the autumn. 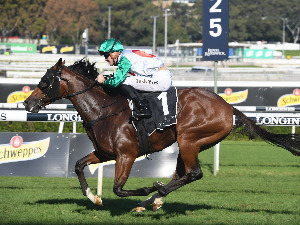 The 2019 Talindert Stakes will be run at Flemington over 1100m and is worth $140,000. The Talindert Stakes race distance has varied between 1000m and 1100m over the last 35 years. The Talindert Stakes has been run over 1000m three times in 1985, 1997 and 2007. 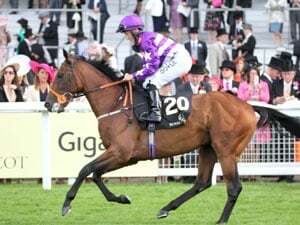 The Talindert Stakes-Blue Diamond Stakes double has been won three times since 1985 by Riva Diva (1992), Sleek Chassis (2007) and Star Witness (2010). 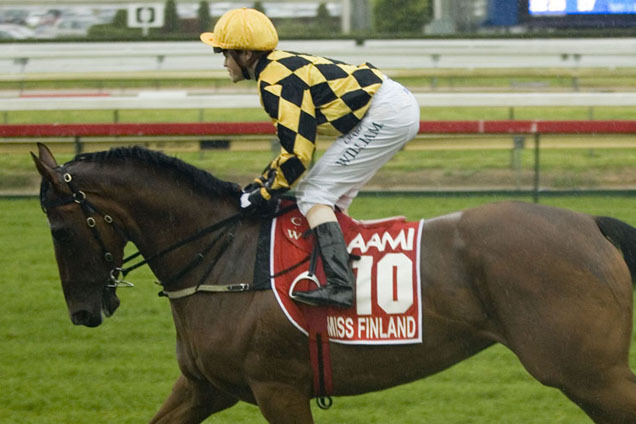 Talindert Stakes winners placed in the Blue Diamond have been Mannington (2000), Spectatorial (2001) and Miss Finland (2006). Spectatorial won the Talindert Stakes/VRC Sires Produce Stakes double in 2001. 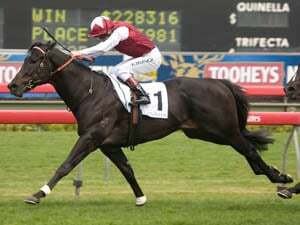 The last horse to win the Talindert Stakes/VRC Sires’ Produce Stakes double was All Too Hard (2012). The 2018 Talindert Stakes was won by Prairie Fire from Khulaasa and Invincible Lad. Your IP 3.95.23.35 has been recorded for our records. This information is not published. Trainer Robbie Laing is confident Stars Of Carrum has recovered from his failure in the Australian Derby and is on song for a shot at the VRC St Leger.